We’re delighted to announce every October 2015 Philly Non-Sports Card Show attendee will receive a free set of trading cards upon entry into the show. We have hundreds of titles to give away. 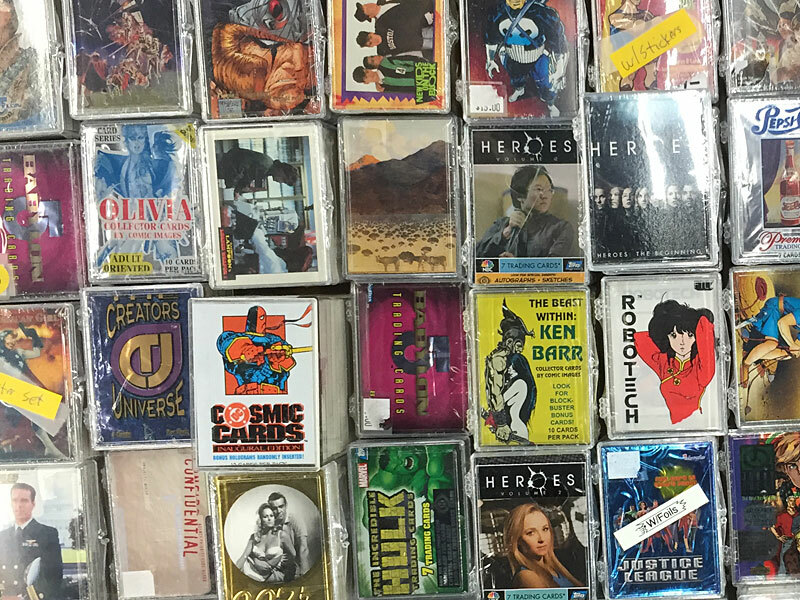 Some of those include: Batman, Indiana Jones, Back to the Future, Popeye, Pepsi-Cola, Babylon 5, Justice League of America, The Incredible Hulk, Hellboy, Heroes, James Bond, Olivia, DC Cosmic Cards, Conan, Ice Age, and over a hundred others!